Glyn Lloyd & Sons Ltd are a family business established in 1979, based in Abergele North Wales and specialise in the sales of used plant machinery and equipment. We provide a wide range of high quality used plant equipment for sale, including diggers, excavators, cranes, forklifts, rollers, tractors and much more from the most popular industry brands. 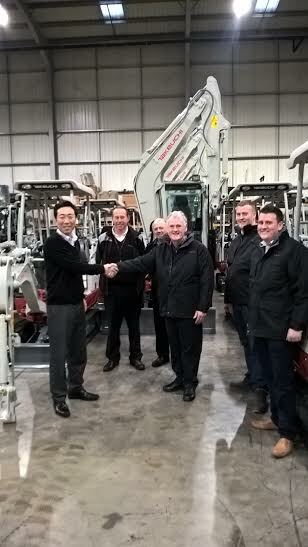 Glyn Lloyd & Sons Ltd are also the main dealers of Takeuchi equipment for the North Wales, Wirral and Birkenhead regions. Glyn Lloyd & Sons Ltd.